Some of you may have noticed my post last month on twitter about my proposed role playing game to teach about the tropical rainforest. Now that we’ve finally played the game I thought I’d share it with you. Primarily a decision making exercise; pupils are given a role to play and have to make decisions and contributions to the game based upon their role. In this scenario pupils are taking on the role of a variety of pre-created roles but you could easily get them to come up with their own. Pupils were introduced to the survival scenario – they were in a private plane as part of a group going tio carry out research in the Amazon rainforest when they hit trouble in the skies causing their plane to crash just south of the Amazon river. They now need to work as a team, using each others strengths to survive. Each role was carefully thought out in advance to ensure the pupils would be able to ‘think’ like the person and so they had a particular skill to contribute to the challenge. In order to play the game, each group were given a copy of the instruction sheets, a set of 3 option cards and a pack of cards with a variety of natural and human resources that would be available to them from either the rainforest environment or the plane. They were also given 12 blank cards and a white board pen. In addition some groups were provided with ‘Survival Cards’ these were tips and ideas to help them consider what to build and how to survive. At the front of the room I had a “Mission Complete” table where paper, colouring pencils, scissors were kept along with the dice to roll as part of missions 2 and 5. Each group were given a variety of cards – firstly the option cards, secondly natural resource cards and thirdly human resource cards. They then had a number of blank cards to add a suitable resource they may have had in their luggage or on the plane that could help them to survive; whilst the captain and plane hostess had up to 3 – the captain had a spare for later on in the game. Once roles were chosen and pupils had sorted the cards into separate piles the game started. For each mission they had to design something to meet the challenge on the option card they’d chosen. If they had read the instructions carefully before started they would have realised that they had very little water and this would should be their first option as they had shelter in the form of the plane and a short supply of food available. The pupils carried out each mission in turn, showing their completed design to me after missions 1 and 3 to confirm whether they passed or not. Essentially what I had been looking for was a labelled their diagram, an explanation of their design and justification of their reasoning behind it; if they achieved these they were allowed to move on. Failure to meet these criteria meant they were sent back to ‘adjust’ their design. 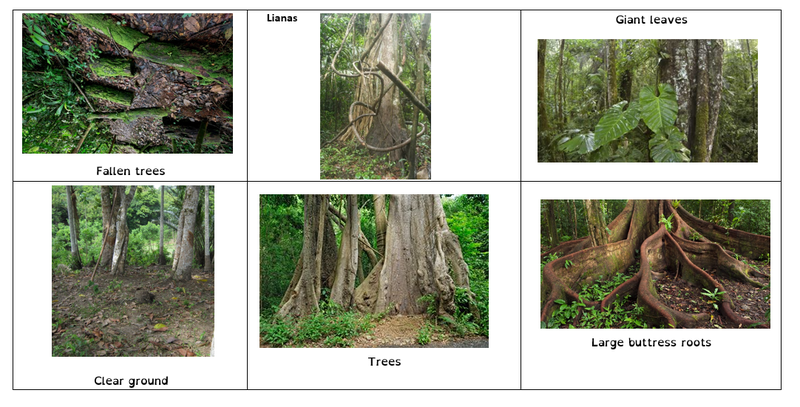 Pupils were encouraged to use the names of features found in the rainforest as well as the layers etc. in their explanations. Whilst they did well at referring to the layers and characteristics of the layers developed from the previous lesson, the one thing I found was they were not using the natural resource cards to full affect. How did they win? Well in short they had to complete all of the missions set, unfortunately when I played with the first class only 1 team worked together effectively enough to make it through the missions and survive the rainforest. 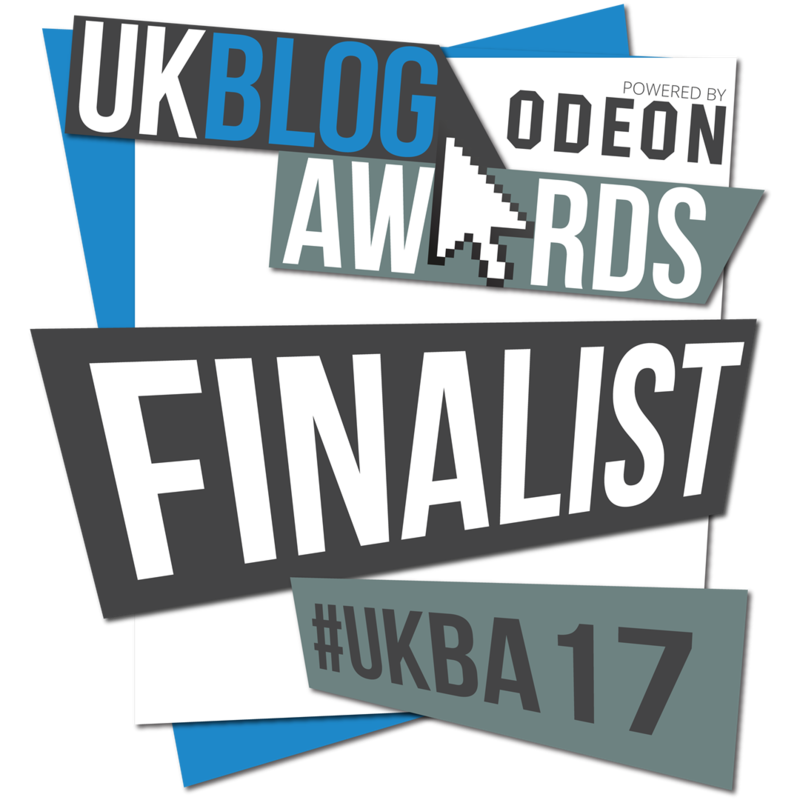 The second class however…. well they all perished as a result of to much enthusiasm. They just simply did not read the instructions or work effectively enough as a team to complete the challenges; perils of the rainforest I guess. Firstly the decision making aspect of the game was most effective, there were so many ideas being discussed with a variety of debates over heard. The pupils were using their knowledge of the rainforest layers studied in the previous lesson to make decisions, along with the work we’d done on Preparing for Natural Disasters in term 3 where they considered human needs and survival skills. 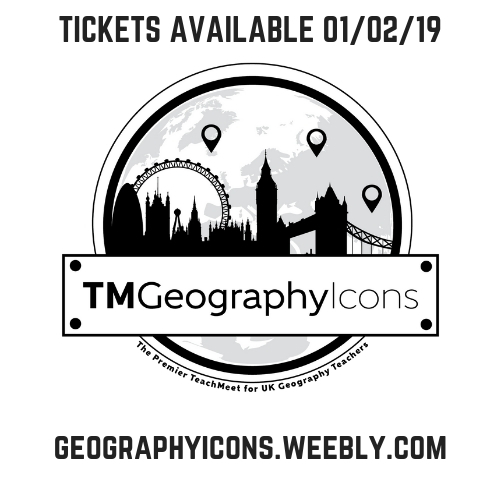 Secondly it developed my pupils use of geographical terminology and reasoning; it was very interesting overhearing conversations and debates where pupils were disagreeing with one another based on their understanding. More time – an hour was not enough. 1.5 hours would be ideal for this activity to give them the time to design, label and explain effectively. More role play – whilst some groups truely took on the role of their character their were many that just thought like themselves. Next time I’d like a few props to get them into character. 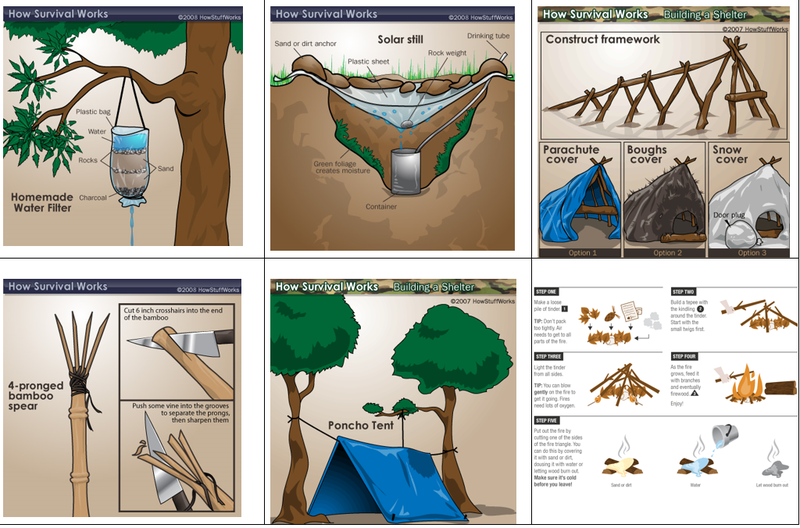 More use of the resource cards – pupils were clearly making use of the human resources, there were designs with straws and bottles to catch water, ponchos over tree branches for shelter and so on but they lacked natural resources in their designs. Whilst they discussed for instance they layer in which they’d hang their water catchers and why, they weren’t using a great deal of the terminology introduced during this lesson. Next time I’d make a rule that they have to bring up the resource cards used and demonstrate where they’ve used them in their designs. Overall though it was a very enjoyable success. 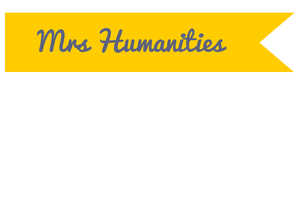 If you’d like to use my resources head over here for the resource. Since I don’t own the copyright on the images on the resource cards, I’ve taken them out. 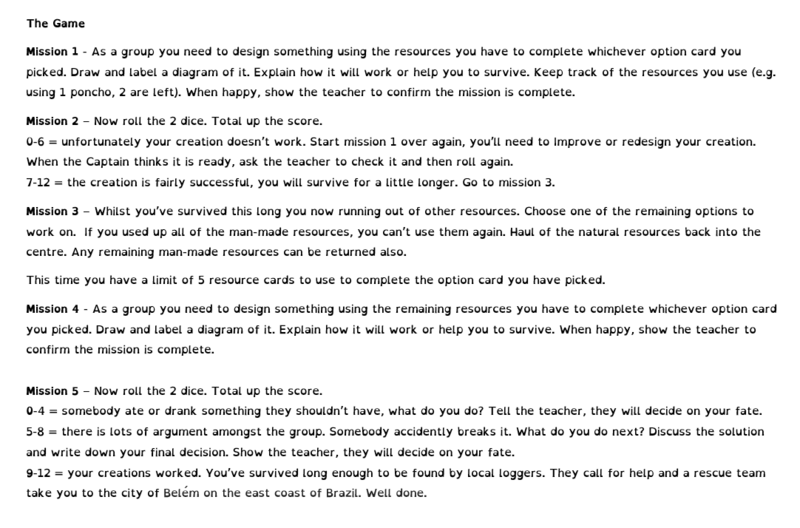 I’ve left the Survival Cards images as I’ve hyper-linked to their source. Let me know if you use it, any feedback would be appreciated. 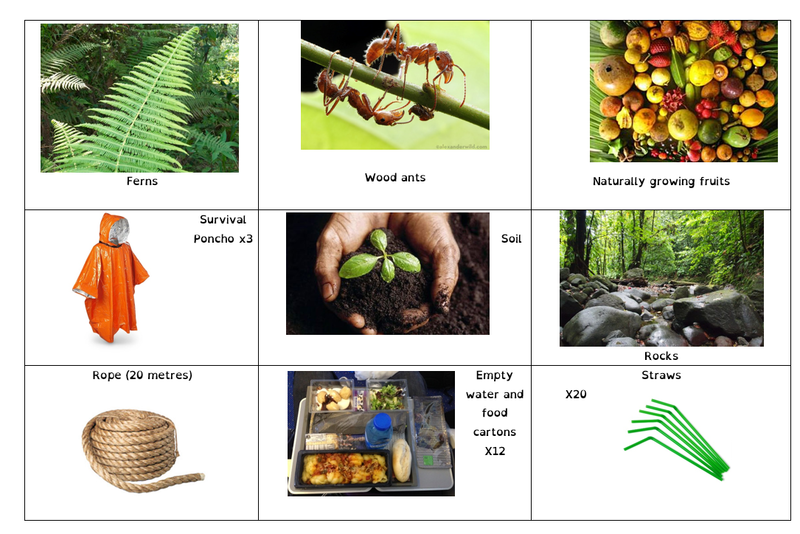 Categories: Geography, KS3, Resources | Tags: KS3, rainforests, Resources | Permalink.